The Indian government has abandoned plans to build a second coal power station, choosing to focus on renewable energy instead in the state of Gujarat. Chimanbhai Sapariya, the country’s energy minister, said in an interview with the Business Standard that 4,000 Megawat ultra-mega power project (UMPP) was rejected because “Gujarat had proposed the UMPP last year but we now feel we do not need more […] We already have more than sufficient generation capacity.” The region already has one such plant existence. India agreed at the Paris climate change conference in 2005 to derive a much higher percentage of its power from green sources by 2030. This transition could have a global impact, as the Hindustan Times reported in 2016 that India was the fourth biggest polluter worldwide. 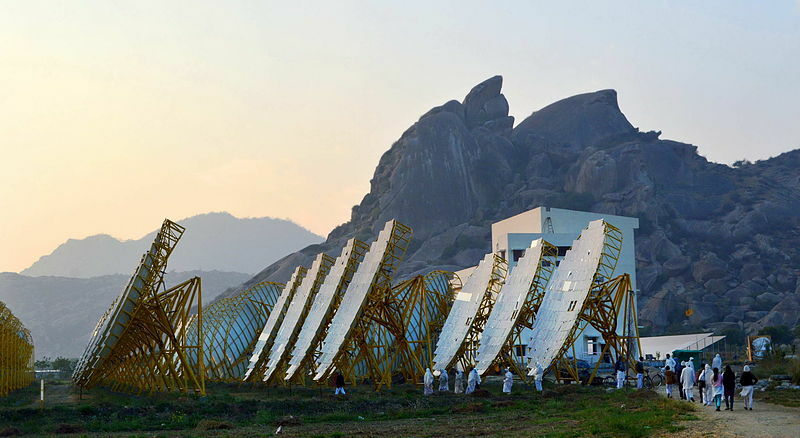 India agreed to extract 40 percent of its energy from non-fossil fuels, and planned to do this by producing one terawatt of energy through solar power — this is four times the worldwide total currently produced. In addition, the country aims to become a nation that only uses electric cars by 2030. The Indian government has been extremely successful in pursuing these aims. Recently, the price of solar-produced energy dropped below the price of energy produced by fossil fuels, the Kumuthis power plant has shown that it can produce as much energy as most coal and nuclear plants, and the country is exceeding its predictions by three-and-a-half years — on track to produce 60 percent of energy through green sources by 2027.